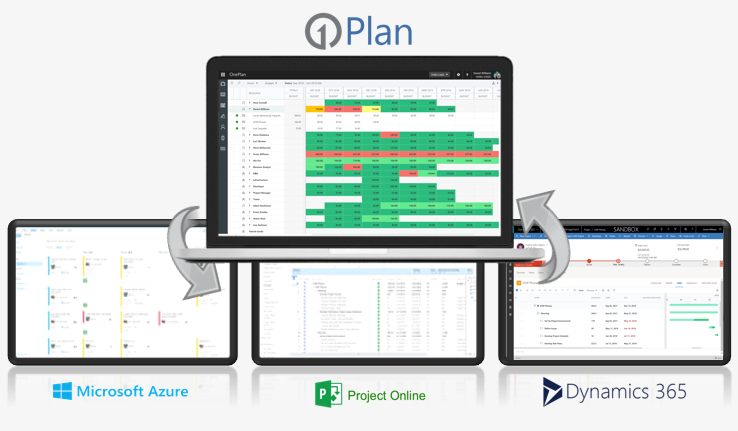 OnePlan Portfolios provides high level agile portfolio and strategic planning that makes execution predictable. Make the right data-driven decisions to transform your Portfolio into business results. Reduce reliance on spreadsheets or manual processes and improve management of portfolios and initiatives. 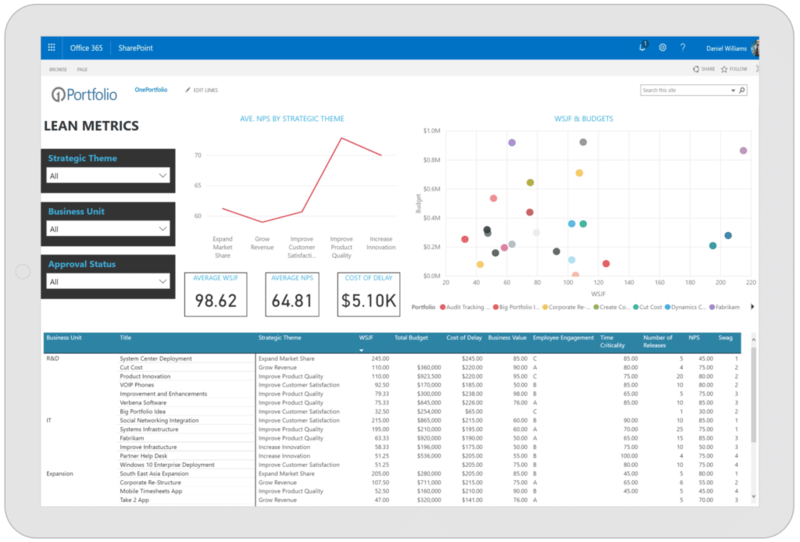 Measure financials, budgets, and ROI to stay on track with accurate key performance metrics. 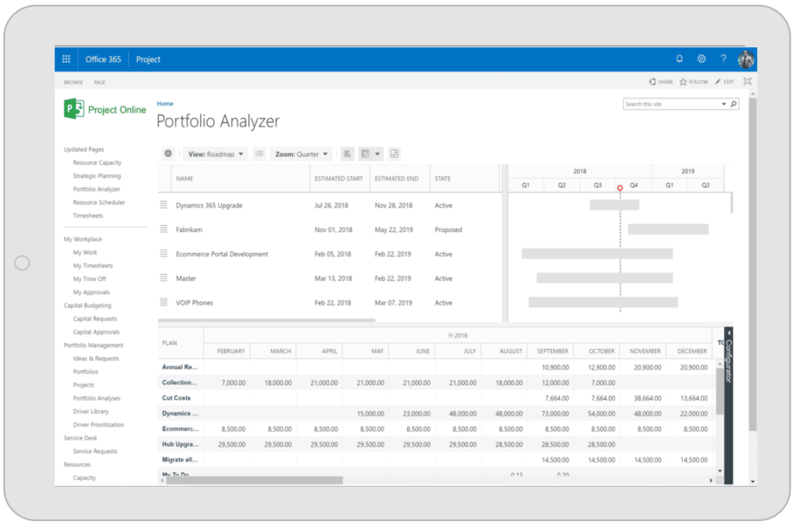 Provide visibility into a centralized organization-wide view of portfolio financials. 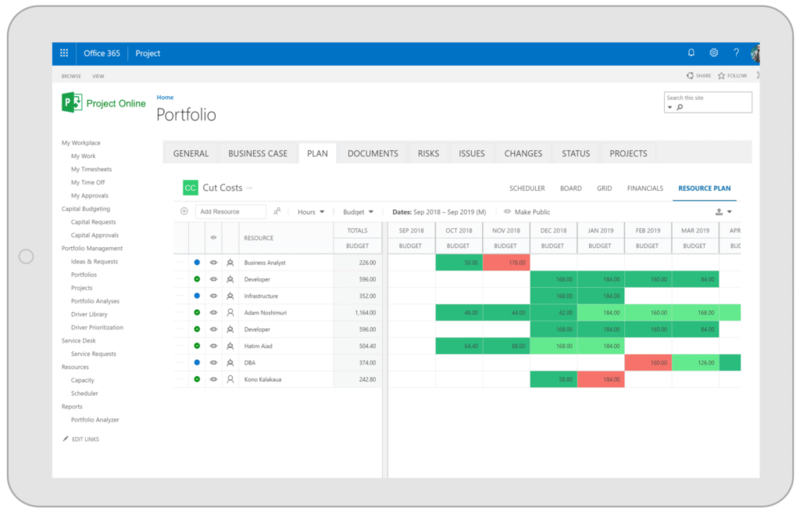 Know the health of your portfolios and grab management’s attention through regular status reporting, built-in dashboards and insightful reports. Simple & central way to capture proposed work. Input demand details, including benefits, estimated costs, required resources, and the impact on business drivers. Assess all demand types, including large programs and projects, smaller initiatives, and ongoing work streams. Automate the approvals of requests through workflow. Easily customize data entry forms and approval routing workflows. Focus on the highest prioritized portfolios best aligned to support key decisions. Evaluate how newly proposed portfolios align to strategic themes and business objectives of the organization. Identify and visualize the impact proposals have on defined business drivers, benefits, costs, and resource demand. High level portfolio planning for portfolio managers to enter and manage all work across the organization. Easy to enter, update, and analyze portfolio details, health, and progress though the life of the portfolio. Gain immediate insights into benefits, costs, and resource needs of individual to all portfolios. Assess proposed portfolios in conjunction with in-action portfolios. When a detailed plan may not be necessary, keep the planning at the portfolio level. Track your portfolio Road Map with high level phases, milestones & deliverables. Mitigate Risks before they threaten success of your work. Resolve Issues to stay on track, on time, and on budget. Control Change Requests to completion. 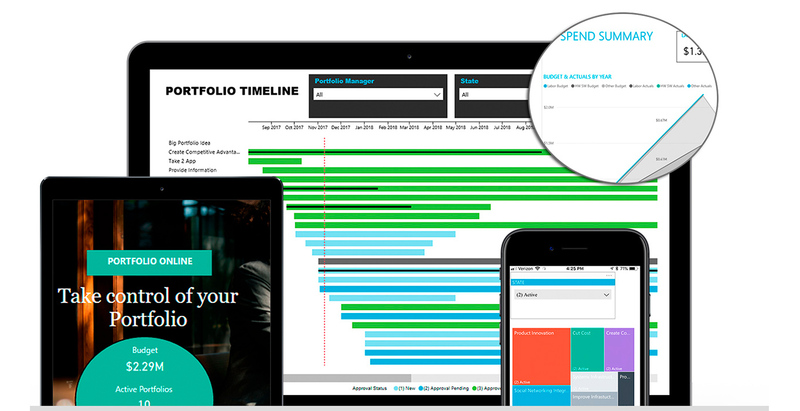 Capture all capital budget requests, and manage the benefits and expenses through the life of the portfolio. Capture all capital expenditure requests electronically. Forecast spend across labor, hardware & software, and other types of expenses. Track & compare approved portfolio budget to actuals spent. Automate the submission of annual capital budgeting requests. Integrate with existing financial applications leveraging OneConnect. Eliminate consolidation hassles and the risk of data errors. Compare capital budgets across long-term planning cycles. Know the health of your portfolios through slick reports & dashboards, that allow drill throughs to the detailed data driving your performance analytics. Powerful status reports track progress and identify trends at both the summary level (on track, at risk, in trouble) as well as detailed level (specific accomplishments & planned next steps) to bring visibility into what’s going well & what isn’t. Analyze resource need compared to team capacity across your team and organization. 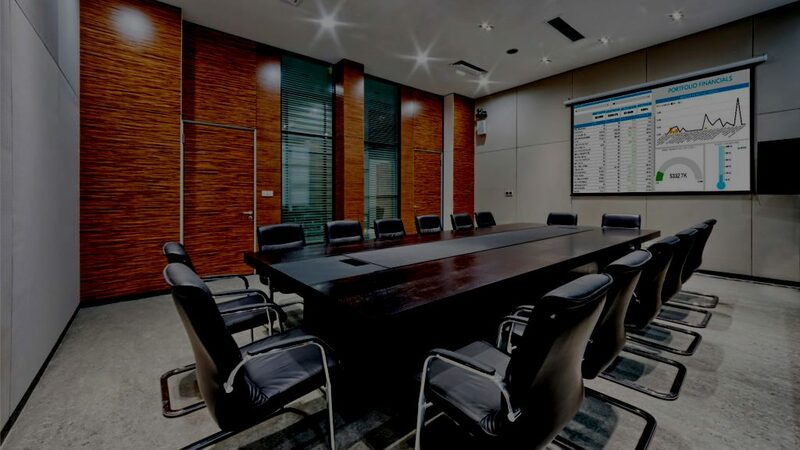 Utilize robust dashboards and reports to see Portfolio data in different, more-applicable ways using a variety of visualizations, charts, and highlighted key metrics for success. Integrate data from multiple sources for central analysis across all portfolio data. 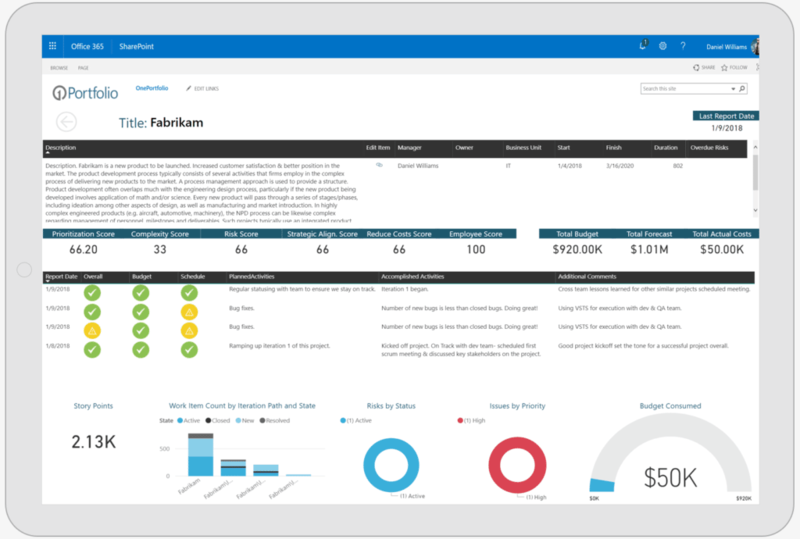 Access OnePortfolio dashboards and reports from virtually anywhere on a variety of devices to make informed decisions on the go. Enhance the user experience with the simplicity & usability of Project Online. Intuitive user interface with a sleek & modern look. Centralized key portfolio information puts the data you need easily at your fingertips. Less places to navigate & click to get to the details. Dynamic editable grids & user-friendly forms to easily and quickly make updates and add new items and information. On the go? Use the OnePortfolio mobile capabilities to view & update important information. Enhance Project Online user experience and usability with OnePortfolio. 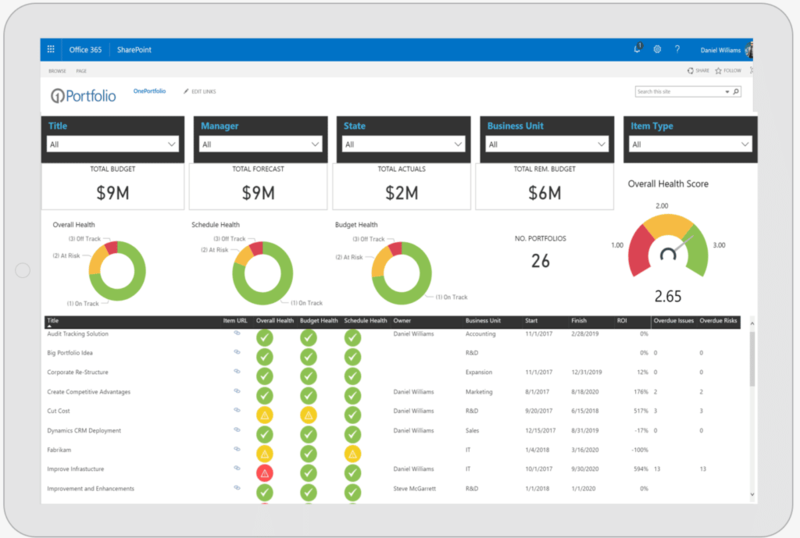 Use what your team already knows with intuitive & flexible SharePoint UI, and utilize the flexible and configurable SharePoint platform. Use Mobile apps for people always on the go. Manage portfolio execution your way. Keep your teams executing in their tool of choice. 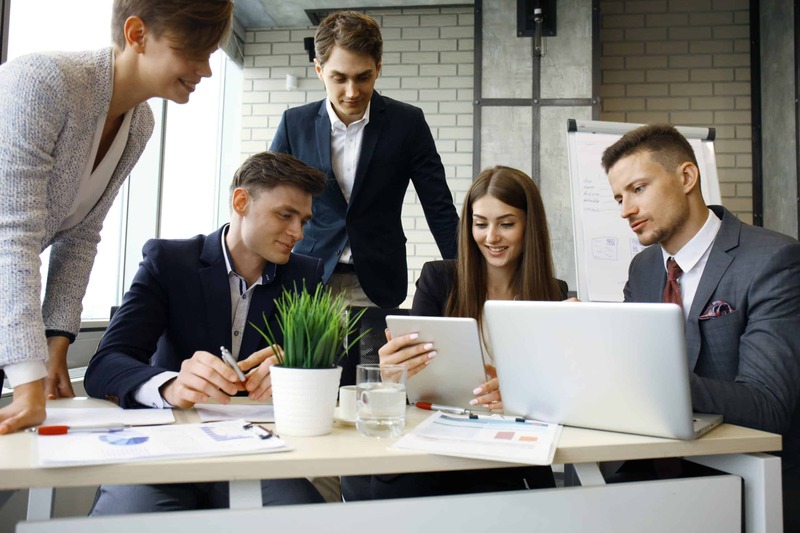 Let software development teams use favorite Agile tools such as Visual Studio Team Services (VSTS) or Jira and leverage integration options to include them in the portfolio. Empower teams to manage tasks in a social work management approach with OnePlan. Contact us to getting started.